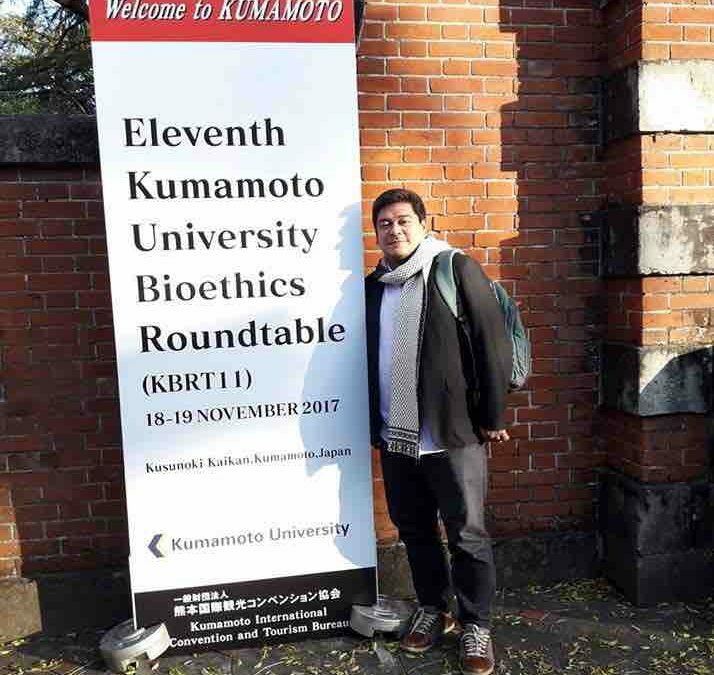 Four college faculty and one Senior High School faculty member presented their researchers on November 18-19 at the 11th Kumamoto University Bioethics Roundtable held at the Kusunoki Hall of Kumamoto Univeristy, Kumamoto Prefecture, Japan. More than thirty researchers and experts from Japan, USA, New Zealand, Thailand, Nepal, South Korea, Taiwan, Bangladesh, India, South Africa, Philippines, Hong Kong, and Iran presented papers not he philosophy of bioethics and knowledge, applied bioethics for peace and health, practical ethics, bioethics and health practice, bioethics and disaster, and bioethics and emerging technologies. There were 14 major lectures (AUSN credit) and 18 research presentations. Dr. Ronel dela Cruz presented a research paper on narratives of traditional healers of Northern Philippines and Mr. Dennis Alfaro and Ms. Marites Fontanilla presented a research paper on the implementation of technology security at St Paul University Quezon City as a basis for security policy development and implementation. Mr. Chadwick Tan presented his research paper on the awareness and consequences on environmental morale and motivation of Senior High School (SHS) students of SPUQC in light of Laudato Si, the encyclical of Pope Francis on the care of the environment. Mr Lofredo and Dr. Dela Cruz also served as discussion facilitators in two major lectures. The event is an annual gathering of researchers and experts working on local and global issues and concerns with bioethical significance. It is co-organized by the American University of Sovereign Nations, a partner university of SPUQC.